Thanks for stopping by and taking the time to see how the Lord's working in Cusco, Peru! After living in Corpus Christi, Texas for a few years we had the opportunity to serve on mission trips. It wasn't long before we realized this was where our hearts were and moved forward in prayer, asking the Lord for more opportunities to serve Him in this way. In 2010 with the blessing of our pastor we moved to Cusco, Peru. Without knowing the language or the culture of where we landed, we began to study and observe. We served with various ministries for a few years and discovered a real need for solid Bible teaching. With the vision of planting a bible-teaching church, discipling and serving the locals, we focused on building relationships with those around us and ministering in various places. In the late part of 2013 we were joined by a mission team from Calvary Chapel Lima to help us kick-start the church plant. We went throughout the city doing dramas and preaching the Word, all the while inviting the people to join us for Bible study. In January of 2014 we found a place to rent and after doing minor renovations, opened the doors and began inviting the neighbors. Every Saturday we gathered in the neighborhood park for Bible club with local kids in hopes of getting to know them and their families. To this day we continue this outreach in the park in cycles throughout the year. Our children's ministry has grown from this and because of it we have very faithful little hearts in Sunday School every week. The people of Cusco have very strong traditional beliefs and the culture here has built up around those, making this very difficult soil to till. With ongoing work in the neighborhood we are working to tear down barriers and build trust among the people. We are actively involved in neighbourhood clean-up and cleaning of graffiti on houses and in the park, along with our continued efforts with Bible club for the kids. Through these things we have seen a lot of positive feedback and we look forward to seeing what the Lord will do in the future. Along with tradition, there are a lot of superstitions surrounding everything here, from the wind to certain paintings held in some of the churches. We believe that with a proper understanding of what God wants from us, it will bring about a great change in the way the people view the world and live their lives. Our aim is not simply to have a church where people come on Sundays, but to minister to the people on a personal level through discipleship and a verse-by-verse teaching of the Word and weekly one on one discipleship. If you would like to visit and see firsthand what the Lord is doing here or even serve alongside us for a time please contact us. We'll be praying! There’s a certain joy that bubbles up when the thing that you have envisioned for so long finally becomes a reality, and that is exactly what has happened for us in these recent months.! 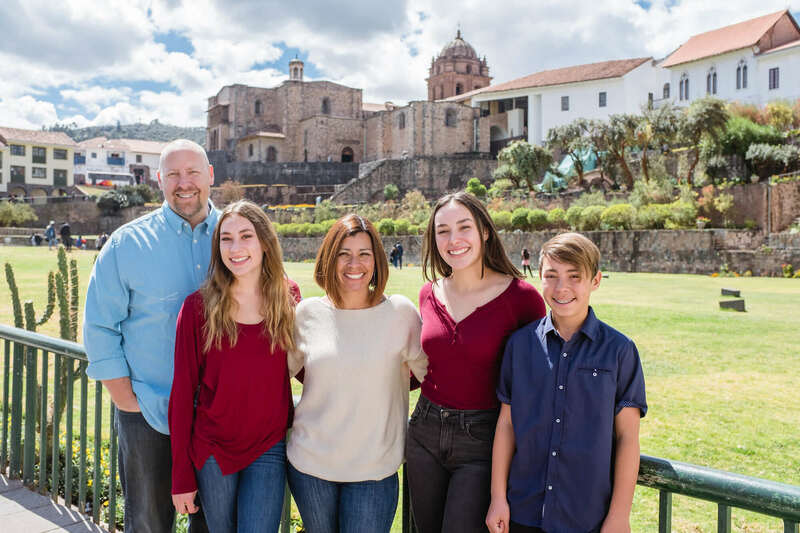 Thank you for your interest in supporting the church plant of Calvary Chapel Cusco. There are several ways that you can support us right where you are. © 2018 Wooh Go inc. All Rights Reserved.